DaniLeigh Lays Out Her Heart For Us at the North Park Observatory. DaniLeigh is a fresh, young artist from South Florida signed to Def Jam Records. 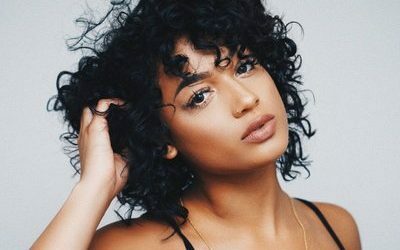 With an extensive background within the entertainment industry, DaniLeigh is proving to be a force to be reckoned with. Upon hearing that she was appearing alongside Teyana Taylor as part of the Keep That Same Energy tour, Peter Swan and Christian Le immediately drove out to the North Park Observatory to chat with Dani before the show. You went from a background dancer to gaining a huge following and going on tour with Teyana Taylor. Is there any real technique to how you’ve gotten your internet following? I’ve been on Instagram for a while now, and I’ve just been posting videos of me like, either dancing or singing and stuff. But I really gained a huge following when I did the “In My Feelings” challenge. It kind of went viral for me, so, that was my big spark for the jump in followers. He mentioned you touring with Teyana Taylor, but I think you’re basically a jack of all trades; you’re a singer, dancer, songwriter, model, you’ve directed a [Prince] music video, and even acted a little bit. What made you focus on becoming a singer, because it seems like you’re talented in so many different areas? I think I just love music so much and I think music is just the…what’s it called, the “middle of everything” for me, you know what I mean? And it’s dope that I get to express my story through music. I think music is the platform for me to showcase everything I do. How has touring with Teyana been? Good! She’s cool, she’s a great performer, it’s very chill, it’s real cool. Everybody’s dope and the concert’s get sold out so that’s a plus for me. So you’re on tour right now, is this your first time in San Diego performing or…? Have we ever performed here? No, I think it’s my first time. Well welcome to San Diego. Going back to your following, you have a special name for your fans: what is it? DaniLions! Well, I do have some alternate names if you care to hear them? So, I’m thinking the DaniMonds, like diamonds, or the DamnDanis. Let’s go back to your background. You’ve been a background dancer for a lot of music videos too, but the one that stood out to me was I found out you were actually a background dancer in a Romeo music video. Yeah, [laughing] that was when I was like 16! Yeah, that was fun. That was when I first moved to LA. Mhm. Did you watch the video? Yeah, it was alright. He does his thing. I don’t want to compare music now, but him back then versus you now? There’s definitely a clearer and better person. As he’s said, you’ve been doing just everything for a long time now. You first started just doing YouTube videos when you were about 14. Now personally, I’m not proud of the stuff that I put on YouTube when I was 14. Is their anything that you like to look back on and laugh at? For sure. I think I couldn’t sing at all when I was 14, so all my YouTube videos are all private now, but they’re fun to watch cause, y’know, I was a shy little girl. Hey, are you hungry Peter? You know what, I’m feeling Curly Fries right now. You know, while we’re on the subject, can you tell me anything about Curly Fryz? I love curly fries! I want some right now… I mean I was in a group back then, and that was our name. Do you feel like being in that group helped you at all? Definitely! We were very self-sufficient, we weren’t signed or anything, so we did a lot of independent work. Like, I learned how we did our websites, we wrote video treatments, we were super D.I.Y, so I learned a lot. So other than this interview, what’s been the highlight of your career so far? There was a little baby girl. I was singing to a little baby, and it was so crazy! I posted it on my page, so you guys can see it there. Anyways, you’re pretty talented, but your family’s pretty talented too. You have a brother and a sister who also do music? Yeah, my little sister, she’s 15, she’s in a girl group, but she’s a crazy singer. She’s super good. And then my brother’s a rapper, he’s pretty fire. And your brother, did he used to be a barber too? Mhm. And he still cuts hair too. Maybe if I come to LA I’ll look him up. I’ve been looking for a haircut actually… But you’re signed onto Def Jam, and you’re on a US Tour. Do you feel like you’ve made it? No? What’s next for you then? The plan is “The Plan,” my album dropping, did you know that? [laughs] In October, I’ll be dropping my album, so after that’s out, I feel like that’s what’s going to make me feel more “on.” But I don’t feel like I’m there yet. Okay, so he’s already mentioned your YouTube covers, but I have a related question. Which artist would you want to cover one of your songs, and which song would it be? To cover one of my songs? Drake should cover Lil Bebe. Wow, no hesitation there! [laughs] So my final question for you is, what’s the tallest tree you could climb, and are you able to prove it? Yeah for sure, probably like a 14 inch stalk [bursts out laughing]. That’s not even higher than the chair you’re sitting on! And last but not least, do you have anything to say to your fans? I love y’all fans so much! Be sure to check out DaniLeigh’s work on Spotify, Apple Music, or SoundCloud.